Born a Man of Kent, Noel served a full career in the Army during which time he was of no fixed abode, though he and his wife acquired a house in Fleet. When he retired from the Service in 1993 he and Edelgard looked for a property with a larger garden and eventually found their present house in Lower Bourne a year later. He went on working in the defence communications industries but, while looking for a way of connecting better with the local community, also joined The Bourne Conservation Group as a founder member. After serving his apprenticeship as secretary from 2002 until 2006 Noel was surprised as a conservation novice to find himself chairman. Over the last ten years he is proud to have played a small part in the way our terrific Group has grown in both numbers and expertise to the extent that it now has a most impressive knowledge of the local area and its wildlife and is able to make a valuable contribution to community affairs. 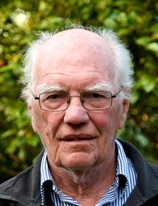 A resident in The Bourne since 1976, Martin retired as a biological oceanographer in 1997. Since then he has fulfilled a number of consultancies and is still publishing papers on the taxonomy of oceanic plankton. 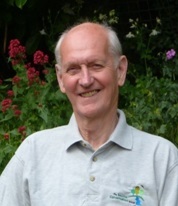 He became a member of BCG in 2008, which has enabled him to indulge some of his passions – the extermination of non-native invasive plants such as laurel, rhododendron and Himalayan balsam – exploring and photographing the surprisingly rich diversity of wildlife in and around The Bourne – and for communicating the value of protecting this diversity through the production of the BCG Newsletter and in making contributions to local planning. As well as being Vice Chairman, Martin has a special role in relation to biodiversity. Richard was born in Wrecclesham, to which his family returned when he was a teenager. In 1986 he brought his own family to live in the Bourne. Having retired from a company contracted to run Surrey’s Education Personnel service, he joined the Bourne Conservation Group as a result of an article in the local press about the Group’s work in restoring the Old Churchyard as a place of remembrance and a wildlife haven. More recently he agreed to take on the role of secretary to the Group. 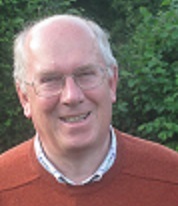 Richard has a special interest in the history of the area, particularly through the writings of George Sturt. 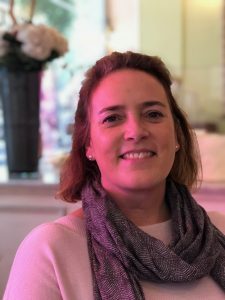 An early childhood spent in East Africa has given Fiona a lifelong interest in the natural world. A Bourne resident for over 20 years, Fiona became involved in BCG when she saw a flyer for volunteers and came along to a work session in Paradise Wood. Once Noel got wind that she was an accountant by trade she quickly assumed the role of Treasurer. Charles was brought up in Twickenham, and continued to live in various parts of south west London for many years. A family life of marriage, and two sons, was fitted around a career in broadcast TV. In 2007, with sons now independent, and the pressures of work easing, he and his wife Janet moved to Farnham, in search of a greener and less congested lifestyle. 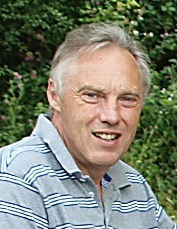 At a social event in 2011, Charles discussed TBCG with one of the Group committee members, and was persuaded to come to a work day, and soon after to join the committee and ‘have a go’. Since then Charles has had several roles on the committee, but is currently a technical ‘jack of all trades’, with contributions varying from carpentry to electronic equipment, and as an essentially practical person this role suits him well. Charles very much enjoys the outdoor work of the group, and as (relative) newcomers to The Bourne it has formed an invaluable part of getting to know other like-minded members of the community. David has lived in The Bourne for most of his life, as his family home was in Vicarage Hill. After going to Keele University, getting married and having three children, his home has been in Lancaster Avenue for over 30 years. Although both gardening and walking in the countryside give him much pleasure, he does not claim any expertise in wildlife or environmental matters. He was initially drawn to BCG by a wish to make a practical contribution to maintaining the character of the area. Having held various Committee roles, his contribution is constrained by the demands of his role in a software business, but he is able to look after the website and publicity in his available time. 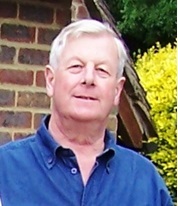 David moved to the Bourne in 1974 from Haslemere, following his childhood in Worcester Park. He was immediately attracted by the spectacular scenery of the Bourne and surrounding countryside and the extensive network of footpaths that criss-cross the area. Married and with two children (plus numerous cats, two dogs and six chickens) and a job which involved a great deal of international travel it was only as retirement loomed that time permitted him to contribute more to the work of BCG. Responding to concerns raised by BCG members or members of the public about footpath signage, overgrown or blocked paths and ditches is his particular responsibility. Vicky moved to Lower Bourne in April 2008 working at a local primary school for several years. After having moved on from this she wanted to maintain her involvement with the community and thus became a Member of the Bourne Conservation Group accompanying one of her three sons – Thomas. 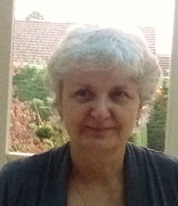 She is currently the Membership Secretary and is keen to welcome new Members and Friends.